It’s important to keep in mind that the mining stocks have been sold to levels well-below their intrinsic value – in the case of larger-cap producing miners. Or their “optionality” value – in the case of junior mining companies with projects that have a good chance eventually of converting their deposits into mines. “Optionality” value is based on the idea that junior exploration companies with projects that have strong mineralization or a compliant resource have an implied value based on the varying degrees of probability that their projects will eventually be developed into a producing mine. 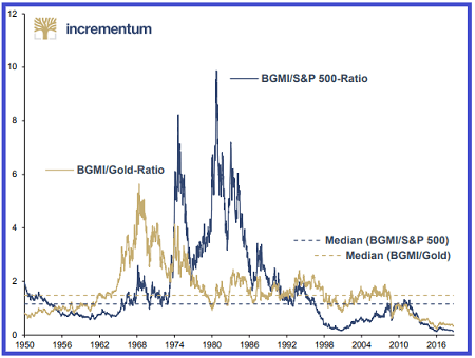 The chart above, sourced from Incrementum (the October 2018 chartbook update to the “In Gold We Trust” 2018 report), shows the ratio of Barron’s Gold Mining Stock Index (BGMI) to the price of gold (gold line) and the S&P 500 (blue line) going back to 1950. As you can see, gold mining stocks are trading at their lowest level relative to gold and the broad stock market in 78 years. The two dotted lines show the median level for each ratio since 1950. As you can see, mining stocks do not spend much time below the median ratio. I strongly believe that the chart reflects a high probability of a major move higher in precious metals and mining stocks that is percolating, if not imminent. Certainly the global economic, financial and geo-political risk fundamentals support this assertion. Unless the precious metals mining business is going away, that chart implies that now is one of the best times since World War Two to buy mining shares. Not surprisingly, industry insiders must agree with that assertion, as mining stock acquisition deal-flow has picked up considerably in the last few months. Most of the deals have been concentrated in the junior mining stocks. But Barrick’s acquisition of Randgold, announced September 24th, is the largest precious metals merger in history. I strongly believe Barrick bought Randgold out of desperation to replace its rapidly depleting gold reserves. The chart above shows GLD (used a proxy for the price of gold) from late 2004 to the present on a weekly basis. I’ve sketched a trendline that goes back to 2004. 2004 is when gold finally pushed through $400 for good. It was right before that event that Robert Prechter, of Elliot Wave fame, predicted that gold would fall to $50. While I’m not a big fan of analysis based on lines drawn on charts, this particular tend-line has held intact since gold bottomed in December 2015. Notwithstanding chart analysis, the COT technicals have never been more bullish. This assertion assumes, of course, that the track record of hedge funds being wrong when positioned long or short at an extreme level remains intact. In relation to the price of gold and silver, the mining stocks generically (i.e. the various mining stock indices like the HUI or GDX) have rarely traded at cheaper levels than where they are trading now. 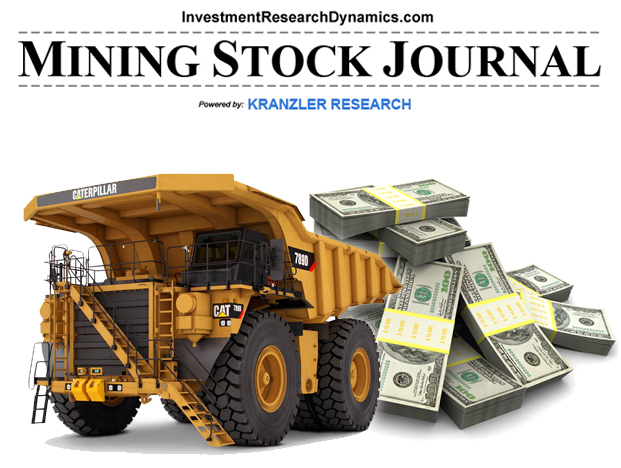 In the next issue of the Mining Stock Journal, I dissect my favorite junior mining stock ideas. These are stocks that have unreasonably sold-off and have at least 10-bagger potential. You can learn more about this here: Mining Stock Journal information. The September 7th COT report is probably the most bullish I’ve seen since the beginning of my involvement in the precious metals sector in 2001. As most of you probably know by now, the “commercial” trader category is now net long both gold and silver for the first time going back to at least 1994. The banks (“swap dealers”) net long position in both paper metals increased. Conversely the hedge fund net short increased in both. It may take a few weeks for gold to push through $1215-1220, as the hedge fund algos will be looking to attack the price until they have covered their enormous net short position. That said, it will take only one particularly surprisingly bad economic report or unexpected geopolitical event (Syria, trade war, domestic political surprise, reckless Trump tweet, etc) to trigger a spike-up in the price of gold. Once this occurs, the hedge fund computers will race to cover their shorts, which will drive the price higher very quickly. 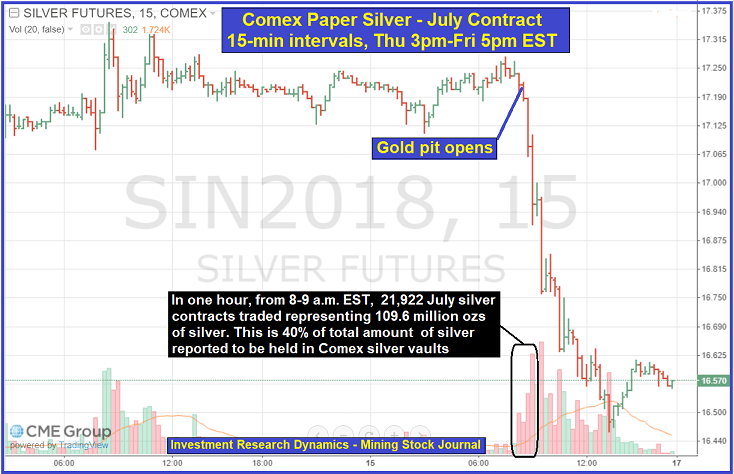 Why Are The Banks Long Gold And Silver Futures? Gold is behaving the same way it was behaving in the months leading up to the 2008 financial crisis. Emerging markets are melting down and transmitting a financial and economic virus that infect the entire world. The coming financial collapse will be magnified by the enormous amount of visible and hidden debt, the worst perpetrator of which is the United States. 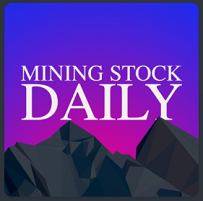 You can learn more about this newsletter here: Short Seller’s Journal information and more about the Mining Stock Journal here: Mining Stock Journal information. Per the latest COT report (note: this references the August 21st COT Report), the hedge fund (Managed Money) net short position in Comex paper gold was 90,000 contracts – by far a record short position for the hedge fund trader category. Conversely, the bank net long position (Swap Dealers) in Comex paper gold was close to an all-time high. It’s not quite as high it was in December 2015. The hedge fund long position in US dollar futures is also at an extreme right now, with the banks taking the other side. Unless there’s something devious going on behind the scenes in the reporting of this data (possible but not probable), the banks are positioned for a huge move higher in gold and a sell-off in the dollar. The only question is timing. The commercial category of the COT Report (banks + producers/merchants/processors/users) is net long silver futures for the first time in at least 25 years. In combination with the gold COT Report structure, this is the most bullish set-up for the precious metals in history. Note: Per the latest COT Report, positions as of August 28th, the hedge funds reduced their net short by 16,000 contracts and the banks reduced their net long by 2,700 contracts. The hedge fund covering explains why the price of gold rose roughly $20 between August 21st and August 28th. The graphic shows the net short position of non-commercials (managed money, other institutional pools of investment money and retail traders) in gold futures, 10yr Treasury futures and VIX futures. It’s the largest bet in history by speculators that gold and 10yr Treasury bonds will go a lot lower and the stock market will go a lot higher (volatility declines as stocks rise so a short-VIX bet is a bet stocks go higher). When positioned at an extreme like this, speculators are always wrong. It may not seem like it right now, but I would also suggest some type of development is percolating that will trigger an unexpected and substantial sell-off in the dollar. Based on looking at the increase in the hedge fund net short position in the gold futures COT report between the end of June and the latest report as of August 21st, it would appear as if most hedge fund short-interest contracts were sold short between July 31st and August 21st. During that stretch, the price of gold dropped from $1224 to $1170. I’m guesstimating that the average price on the hedge fund net short position is between $1215-$1220. The is a rough estimate but I would bet it’s pretty close. This is important because it tells us the price-level at which we might see a big short-cover move higher begin. Last Friday gold shot up from $1194 to $1212. From this past Monday (August 27th) through Tuesday just before the Comex floor opened, gold ran up close to $1221. About an hour into the Comex floor hours, gold fell off a cliff quickly down to $1207. This price-hit occurred in the absence of any news or events that would have triggered a selloff. In fact, the yuan rose sharply vs the dollar on Tuesday, which throws cold water on the theory that the Chinese have pinned gold to the yuan. The point here is that the hedge funds will be motivated to defend the $1220 price level. Above that price the hedge funds will start to lose a lot of money on their net short position. This is the only way I can explain the waterfall hit on the price of gold on Tuesday. If the price of gold can climb over $1220 toward $1230, it will likely trigger a short-cover move. But keep in mind that, as the price momentum heads higher, the hedge fund position will swing from net short to net long. This is likely what will the drive start of the next move higher in gold. A move that will be reinforced by the start of the big seasonal buying season in India and China. Based on the numbers I see on a daily basis, the Indians and the Chinese are taking advantage of the lower price of gold and have already ramped-up their gold buying. When the Fed is forced by the economy to fold on rate hikes, gold will really begin move. The junior mining stocks are trading at one the lowest valuation levels over the last 18 years in relation to the price of gold. US Gold Corp (USAU) traded briefly below $1 last week in the absence of any news or events that might have affected the stock price. The market cap is close to 50% below the intrinsic value of its Copper King Project. The stock jumped 14% on Friday and Mining Stock Journal subscribers had an opportunity to buy shares ahead of this move. You can learn more about this newsletter and why USAU is absurdly undervalued here: Mining Stock Journal information. Last week Donald Trump broke the theoretical “Chinese Wall” that is supposed to exist between the Government and the Fed when he offered a stunning rebuke of the Fed’s current policy to continue raising interest rates. Though, it’s really more like “nudging” rates up at a snail’s pace. Gold shot-up in price immediately after Trump’s ill-advised comments recorded on CNBC it the tape, more than offsetting a vicious sell-off in the gold price that occurred in the paper derivative gold markets in London and New York. The Office of Management and Budget further revised higher its Federal spending deficit forecast for FY 2018. The original forecast was under $500 billion. The latest forecast is nearly $900 billion. Without a doubt, we believe the spending deficit will top $1 trillion this year. 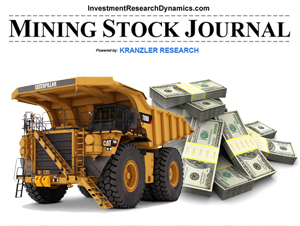 You can take advantage of undervalued junior mining stocks using the Mining Stock Journal. OR learn how my subscribers and I are making a small fortune shorting the housing market, as homebuilder stocks are already in bear market, with the information and analysis provided in the Short Seller’s Journal. 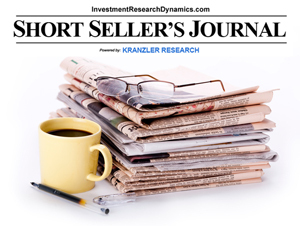 This week’s Short Seller’s Journal also discusses the coming demise of Tesla and how to best play it from the short-side.